The 24th Los Angeles Times Festival of Books offers plenty of other experiences aside from books and talks. The 2019 Los Angeles Times Festival of Books is just around the corner. This year, an estimated crowd of 150,000 is expected to attend the annual event. Publishers, authors, retailers, service providers, literary agents, artists, academic personnel, media, and book fans gather together to share ideas and opportunities. But book fairs are not only that, especially if it’s a book festival held in one of the most famous cities in the United States. The L.A. Book Festival 2019 is the largest book fair in the country. Being able to attend the L.A. Times Book Fair is in itself a unique opportunity because it is the biggest literary event in the United States. Hosted by the University of Southern California, it is one of the highly anticipated gatherings every April. This year, ReadersMagnet Self-Publishing will be among its exhibitors and is expected to make waves during the 2-day fair. University Panels in Wallis Annenberg Hall. The Wallis Annenberg Hall is one of University of Southern California’s recently opened buildings. Since 2014, it has served as a venue for various panel discussions, conversations, forums and workshops each year during the weekend fair. Aside from visiting fair booths, attending talks is a must experience for every serious author attending book fairs. USC Booths. Los Angeles is known for its warm and engaging community. The community is a big part of the Festival. That is why the fair always features various civic booths that cater to different community programs. These programs include book drives, demonstrations, workshops on arts and culture, and free medical services as well. The Food Portion. Food Portion is one of the Festival’s regular programs. Each year they feature not only L.A. chefs but they also include authors, fitness gurus, and food bloggers. Bill Esparza, Edward Lee, Dan Stone, and Ayesha Curry are some of those who graced previous L.A. Times Book Festivals. LA Times Book Festival features celebrity authors. Los Angeles is home to celebrities and entertainers. As expected, celebrity authors who have published their own book in the past will likely sign up for the fair as well. Some of them get invited to be speakers in various talks and panel discussions. In the previous years, Gabriel Union, Joyce Carol Oates, and Jorge Ramos have graced the L.A. Times Festival of Books. Trojan Marching Band. The University of Southern California happens to have one of the most talented collegiate marching bands in Trojan Marching Band. Fondly dubbed as “Hollywood’s Band”, the Trojan Marching Band grew popular because of their collaborations with celebrity performers like Diana Ross, Elizabeth Taylor, and Fleetwood Mac. Their Olympic performance both in 1932 and 1984 Opening Ceremonies along with other overseas tours cemented their superstar status. Hollywood. Speaking of Hollywood, one cannot possibly talk of Los Angeles without mentioning Hollywood, its stars, the glitz and glamour, as well as the various spots all over the neighborhood. The Walk of Fame, the Roosevelt Hotel, and the Hollywood sign itself are some of the iconic places you can visit when in Hollywood. Santa Monica Beach. Southern California is home to many beautiful and fame beaches. With over 7 million visitors each year, it is famous for being a walkable town that offers almost everything a tourist needs. It is also relatively close to other L.A. attractions. No visit to L.A.’s beaches is complete without dropping by Santa Monica. National Museum. Established in 1913, the Natural History Museum of Los Angeles County is one of the most important institutions in Southern California and in the academic community. The museum houses over 35 million specimens, dating back 4.5 billion years especially fossil collections from the Late Pleistocene period. 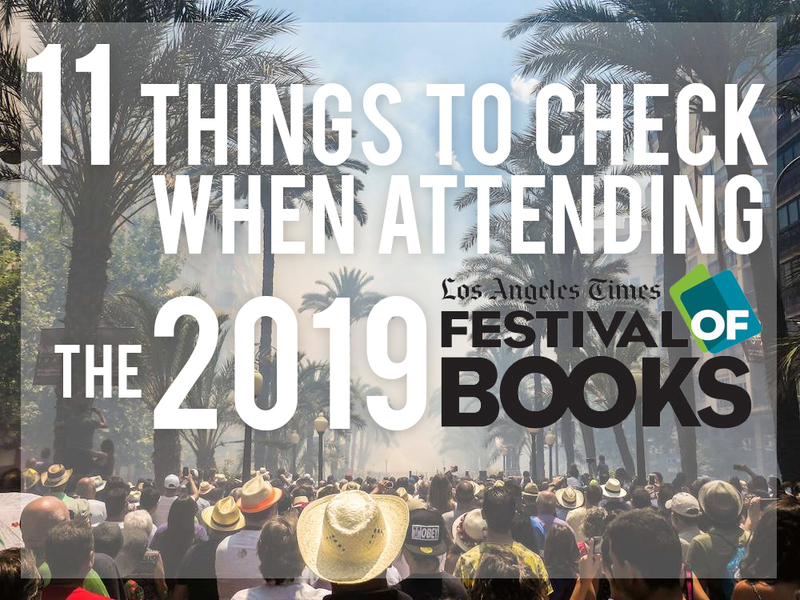 These are just some of the interesting sites that you can check before or after attending the 2019 L.A. Times Festival of Book. Sign up with ReadersMagnet Book Fair Content Distribution and experience the largest book fair in the country. Call their Office Number: (619) 354 2643 Toll Free Number: (800) 805 0762 Fax Number: (661) 338 1442 or email info@readersmagnet.com.